Not surprisingly, most of the people in the large crowd at the meeting were in favor of the pipeline. Some were against it, including a person who claimed that the pipeline would cause people of color to be negatively impacted. Not sure where that idea came from, but there have been many black Republican Elected officials who have stood up in favor of the Keystone XL Pipeline. 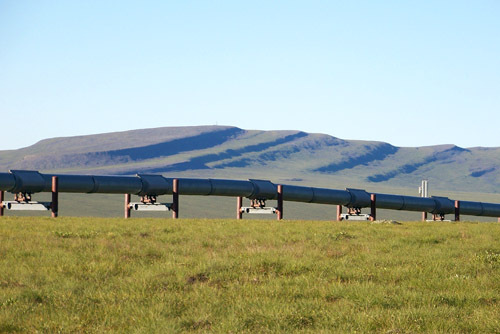 The Beaumont Enterprise reported that the meeting was more of a pro-pipeline rally. Many Texas elected leaders were at the meeting to support the pipeline. Republican Texas State Rep. James White, whose district includes Angelina, Trinity and San Jacinto counties, was at the meeting and he noted that the agency had already assessed the environmental impact, and said he wanted to see the permitting process expedited. "This is why people are frustrated with government," he said to applause from a crowd numbering around 500. "We need jobs.” At a different United States Department of State Hearing in Austin, TX, Republican County Commissioner Greg Parker testified on behalf of the Keystone XL Pipeline. We expect to see 7,000 manufacturing jobs, 13,000 construction jobs, and 118,000 spinoff jobs related to the design and management of the Keystone XL pipeline. This is exactly the kind of economic boost the federal government has tried to do with the American Recovery Act and is again prepared to pay hundreds of billions of our tax dollars to achieve, yet they have not given this privately-funded venture permission to begin. It makes no sense to delay a project of this magnitude any longer. The State Department's own environmental review has found no support for opposition to the Keystone XL pipeline based on fears of ecological damage. In these perilous economic times, it would simply be foolish to pass on an opportunity like the Keystone XL. A few decades ago there was a highly publicized resistance to the building of the Oil Pipeline in Alaska. 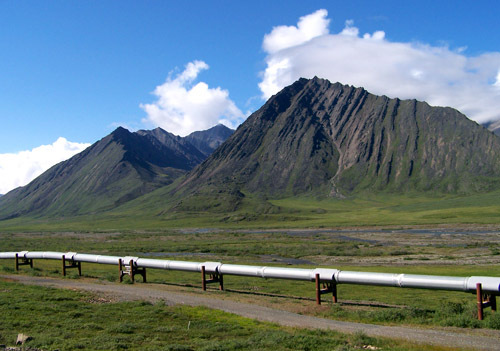 Some of the biggest reasons against the Alaska Pipeline were that it would damage the permafrost, an earthquake could cause it to open up and spill out, and that the pipeline would destroy the Caribou populations. 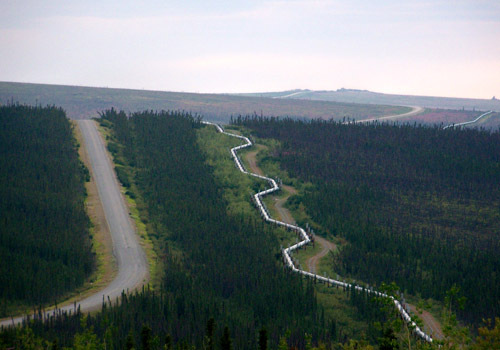 The truth is, the Caribou population has exploded in Alaska (they like the warmth of the pipeline), the pipeline has survived many earthquakes, and the pipeline is built above the ground and has no effect on the permafrost. I went to Alaska a few summers ago as part of a Texas A&M University Student Exchange Program. Alaska sent some students to Texas and Texas sent some students to Alaska. I absolutely love God’s creations in nature, and I was thrilled to get to go to Alaska where the raw beauty of nature is so evident. I have been to most National Parks in America, and when I went to Alaska, I drove so that I could camp out at National Parks all along the way to Alaska. I would never wish for widespread, intentional devastation of the environment. The fact is that Alaska’s Pipeline has not at all caused damage to the beauty of Alaska and it has created money and Jobs for Alaska. 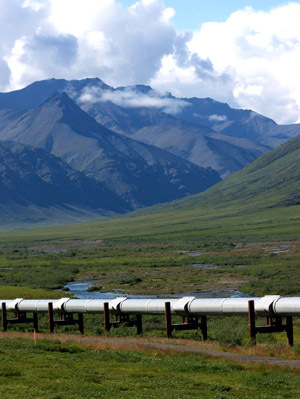 The pipeline runs through only a small percentage of a percentage of Alaska, and the pipeline has not hurt the environment. 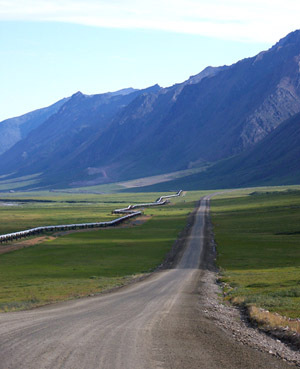 In fact, I would never have been able to drive the 400 miles to the Arctic Ocean and see all the beauty of Alaska if it were not for the 400 mile service road that the pipeline built (the Dalton Highway). So not only am I in favor of the Keystone XL Oil Pipeline, I am also in favor of drilling in the Alaska Wildlife Refuge. The drilling area would be very small and they would drill in such a manner that it would not have an impact on the environment around them. I have been to the drilling fields in Alaska and I have seen that these oil fields do not bother the wildlife or the environment. What drilling in Alaska will do, just like building the Keystone XL Pipeline will do, is help the economy and help us break away from our dependence on Middle East foreign oil. 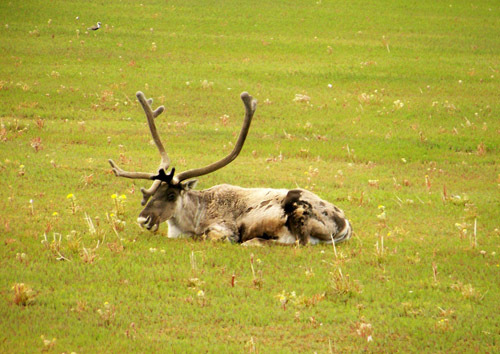 and the Caribou were easily spotted. The Keystone XL has a great possibility of spilling toxic crude and diluents into the Ogallala Aquifer, which supplies water for irrigation and drinking to eight states, especially Nebraska. This water makes possible 30% of American agriculture. The pipeline may or may not help out Texas, but if Texas wants it, then RE-ROUTE it so that it doesn't risk Nebraska water. Nebraska is just as important to the country's food supply and ethanol production as Texas. There are other ways and other routes for tar-sands crude oil to get from Canada to Texas so that Texas can then ship the oil to China or some other country. If you believe that this crude is destined for the U.S., then ask yourself why not refine it in the Midwest, which would be cheaper? We're not talking about spotted owls and old growth forests here. We're talking about today's beef, corn, and soybeans. This isn't an issue of some fanatics who value what you think is a worthless animal or plant more than humans. This is about humans, specifically American humans, and how they get food and water. You can live without oil. You can't live without food and water.